Fits1993 to 2003 Dodge Ram Trucks, Dodge Dakota & Dodge Durango. We will not be undersold! 24 Months Warranty at any Chrysler, Dodge, Jeep & Ram Dealer across the US! OEM and Quality Fit! not included in your order. Part Number: 1453240. BD Diesel Performance is unique among its peers in that it designs, manufactures and distributes a wide range of products specifically engineered for performance diesel applications. Each CSF OEM Intercooler is built with cast aluminum end tanks for a higher level of durability, reliability and burst pressure capabilities. Featuring a 100% TIG welded construction with an OEM style tube/fin core that matches or exceeds the performance of the OEM Intercooler. Trending at $229.99eBay determines this price through a machine learned model of the product's sale prices within the last 90 days. Dodge Ram HX35 / HX40 Turbo Exhaust Downpipe V-Band Adapter. Fit Engine: Compatible with 99-02 Cummins 5.9L Engine. 24V, ISB, 6BTA Dodge Ram 2500, 3500 Truck w/ auto trans. HX40W SUPER DRAG Diesel Turbo Hx40 Dodge RAM T3 Flange. Before 2004 Dodge Truck with ISB Engine Dodge Truck Automatic, Manual. CUMMINS DODGE RAM DIESEL TURBO 5.9L T3 FLANGE. 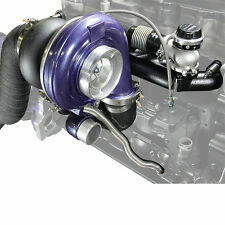 HX35W Turbo for 94-98 Dodge Ram Diesel 2500/3500 For 5.9 Turbo. You blocked off the turbo oil drain pipe with a piece of tape. 2003-2007 Dodge RAM 2500/3500 Cummins 6BT 5.9L. Engine Model Cummins ISBE. If a part was successfully installed, went into service, and then failed, it may be eligible for warranty repair. IMPORTANT NOTICE. Part#3539373. OEM# 3536160;3538418;3539373. 1996-1998 Dodge RAM Truck with Cummins 6BT 5.9L Diesel Engine. Turbo Manifold Flange: Standard T3 Flange. Models for Manual Transmission ONLY. If a part was successfully installed, went into service, and then failed, it may be eligible for warranty repair. FOR 89-02 Dodge RAM Cummins HX40W 3538232 T3 Twinscroll flange. 4040281 3591022 3538220 3591732 3596713 3538220 3539019 3800927 3800378 3538232. Exhaust Turbo Manifold Flange Standard T3 Twinscroll. 6CTAA Engine. 1X Aluminum Velocity Stack. 3" I.D. Velocity Stack. 2.5" Height of velocity stack. 1X High Pressure Silicone Hose. 4 PLYS High quality silicone reinforced for an outstanding durability and performance. 1X Aluminum Velocity Stack. 3" I.D. Velocity Stack. 2.5" Height of velocity stack. Universal, fits all vehicles. Made of high quality aluminum. Five different colors red, blue, gold, green or black. If a part was successfully installed, went into service, and then failed, it may be eligible for warranty repair. 94-10 RAM 3500 2WD Model ONLY. 94-10 RAM 2500 2WD Model ONLY. 94-06 RAM 1500 2WD Model ONLY. Lift amount does NOT equal spacer thickness. Provide 3" Height Lift. If a part was successfully installed, went into service, and then failed, it may be eligible for warranty repair. 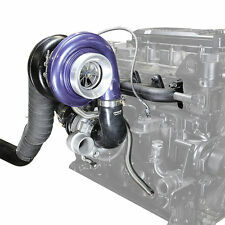 ATS Aurora 5000 Turbo Kit for Common Rail Dodge, 2003-2007 5.9L. This turbo has the capability to reach over 850hp with supporting fuel modifications and aggressive tuning. T3. 85 Turbine Hsg. Reduces turbo "bark" due to ported compressor housing design. 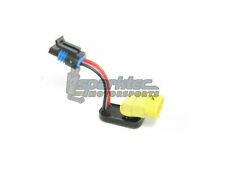 Reference Part Number: 3592766, 3592767, 3590104, 3590105, 3800397, 3800799, etc. 24V, ISB, 6BTA Dodge Ram 2500, 3500 Truck w/ auto trans. HX40W SUPER DRAG Diesel Turbo Hx40 Dodge RAM T3 Flange. Dodge Ram HX35 / HX40 Turbo Exhaust Downpipe V-Band Adapter. Part # 5018690AB. We will not be undersold! Fits 2002 to 2005 Dodge Ram 1500. 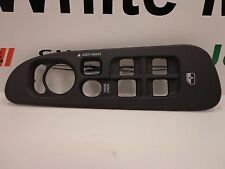 Fits 2005 Dodge Ram 2500. 24 Months Warranty at any Chrysler, Dodge, Jeep & Ram Dealer across the US! Fits 2001 to 2004 Dodge Dakota. Injen SP Short Ram Air Intake Kit For 2014-2015 Nissan Versa 1.6L 4Cyl. Injen Air Intake - SP Series Intake System: The Injen SP Series Intake Systems Feature the Patent Pending MR Technology Process for Optimal Gains and a Safe A/F Ratio. The Injen SP Series Intake System does not limit itself to just a Cold Air System or Short Ram System. Fit: Cummins 5.9L, 6BT Engine. 94-98 Dodge Ram Diesel 2500/3500 5.9 HX35 Turbo. HX40W SUPER DRAG Diesel Turbo Hx40 Dodge RAM T3 Flange. Dodge Ram HX35 / HX40 Turbo Exhaust Downpipe V-Band Adapter. Turbo Manifold Flange: Standard T3. Dodge Ram HX35 / HX40 Turbo Exhaust Downpipe V-Band Adapter. Exhaust Flange: Standard T3. You blocked off the turbo oil drain pipe with a piece of tape. You forget to take the piece of tape and install the turbo. Universal Heat shield light-weight Carbon Fiber Heat shield, designed to increase cold airflow into the intake with lower intake temperature. Carbon Fiber Heat shield dramatically reduce the intake temperatures, lower temperatures increase overall horsepower. 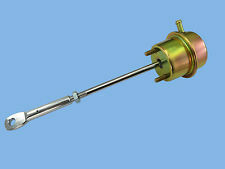 The Boost Fooler allows higher boost pressures while maintaining the factory fuel pressures. This is essential when doing any turbo modifications. The Boost Fooler will allow you to get the extra boost out of your turbo with avoiding the factory defuel settings. Trending at $71.09eBay determines this price through a machine learned model of the product's sale prices within the last 90 days. Product Description 100% Brand New, Never been used. Boost engine horse power significantly. Increase engine power and torque output. Maintain combustion chamber pressure and fuel/air load. Constructed with high quality material. Manifold and outlet gasket. Built for durability and strength. Professional auto part. Powerful and reliable. 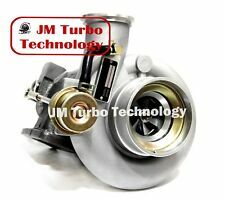 Turbo Model: HX35W Horsepower: Up to 270hp Wastegate/Actuator: Yes Flange: Standard T3 Gross Weight: 7kg (15.4lbs) Exhaust pipe diameter:102mm (4") Professional Installation is Highly Recommended Instruction Included OEM Part Number:. 88-91 Honda CRX. 88-00 Honda Civic(Except 99-00 Si Models). 1x Stainless Steel Turbo Manifold. Tubular Design with Equal Runners to Ensure Equivalent Exhaust Flow Rate from each Cylinder. 93-97 Honda Del Sol(Except VTEC Models). 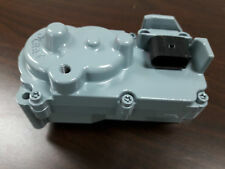 Interchangeable part numbers: HY35W. Exducer Dia. Inducer Dia. An intercooler increases air density, allowing your engine to produce more power. So you wouldn't want to restrict the flow of air exiting the intercooler, right?. Banks' High-Ram intake flows air much more efficiently, providing greater boost without the drawback of raising turbine backpressure. Turbo Model: HX35W / WH1C. 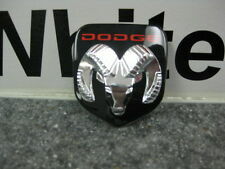 Fits: Dodge Ram 5.9L Diesel Engine, 6BTA, 6B, 6CTAA, 6BT. HX40W SUPER DRAG Diesel Turbo Hx40 Dodge RAM T3 Flange. 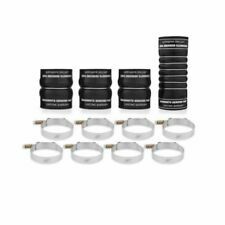 Dodge Ram HX35 / HX40 Turbo Exhaust Downpipe V-Band Adapter. Part Number: 1515931. Installed in-line with the MAP sensor. Engine: ISB, HE351CW, HY35W. DODGE RAM 2500/3500 5.9L Compatible with CUMMINS HE351CW Turbo 2003-2004. 2003-2007 Ram 350. 2004.5-2007 Dodge, Truck with 5.9L Engine. 24 Valve Inter-cooled Turbo. You blocked off the turbo oil drain pipe with a piece of tape. 40mm External Wastegate Port. 1x Stainless Steel Turbo Manifold. Made of High Quality T-304 Polished Stainless Steel Alloy Material for Strength and Durability. High Performance Tubular Turbo Racing Design. Part#3539369. OEM# 3802992; 3538414;3539369. Turbo Manifold Flange: Standard T3 Flange. Models for Auto Transmission ONLY. Engine 6BT5.9 Auto 12V. If a part was successfully installed, went into service, and then failed, it may be eligible for warranty repair. Genuine Housings = Original Power,1 Year Warranty. NEW REV9 SHORT RAM AIR INTAKE KIT WITH HEAT SHIELD. Short Ram Air Intake Kit With Heat Shield for Volkswagen Jetta GLI 2014-17. 1 X Heat Shield. 2 X Polished Aluminum Intake Pipes. Simple bolt on kit to gain horsepower and torque. Fit: Cummins 5.9L, 6BT Engine. 94-98 Dodge Ram Diesel 2500/3500 5.9 HX35 Turbo. HX40W SUPER DRAG Diesel Turbo Hx40 Dodge RAM T3 Flange. Dodge Ram HX35 / HX40 Turbo Exhaust Downpipe V-Band Adapter. But if you killed a fairly new turbo for no apparent reason, think about what could have been the cause of the turbo's failure. Replace the spark plugs in your valuable Hemi engine with these genuine OEM Mopar spark plugs and keep it running like new! 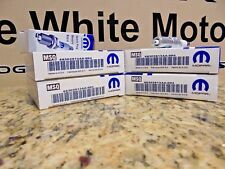 New Mopar Spark Plugs - Set of 16. 24 Months Warranty at any Chrysler, Dodge, Jeep & Ram Dealer across the US! Trending at $127.90eBay determines this price through a machine learned model of the product's sale prices within the last 90 days. 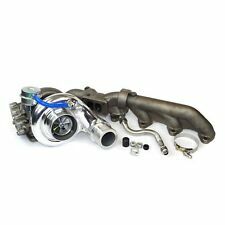 Fits hx35, h1c, Wh1c 16cm Turbine housing Holset Turbo on Dodge Ram Diesel Cummins Turbo H1C HX35. Condition is Used.